Margaret of Anjou, queen of England, cannot give up on her husband--even when he slips into insanity. And as mother to the House of Lancaster's last hope, she cannot give up on her son--even when England turns against them. 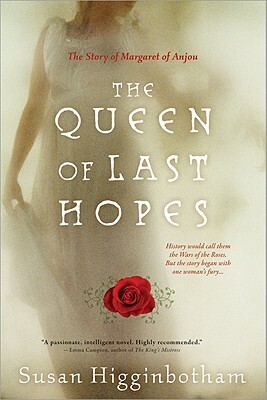 This gripping tale of a queen forced to stand strong in the face of overwhelming odds is at its heart a tender tale of love. Susan Higginbotham writes her own historical fiction blog, Medieval Woman, and is active on Twitter. She is also a member of the Historical Novel Society and is a regular contributor to its publications. Susan co-founded the bulletin board Historical Fiction Online, a popular website for lovers of historical fiction. She lives in North Carolina with her family.